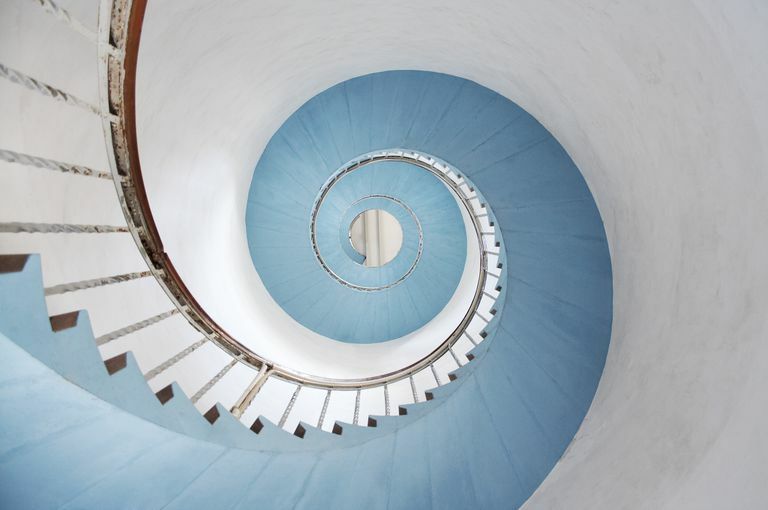 What Causes a Death Spiral, and How Can It Be Prevented? A health insurance death spiral describes a scenario in which premiums increase rapidly, causing healthy people to drop their coverage when they perceive that it's no longer worth the cost. That, in turn, causes premiums to increase even more, as the exodus of healthy people leaves a smaller, less healthy risk pool. As premiums continue to increase, healthier people continue to drop their coverage, and the situation continues to spiral until it reaches a point where the market simply collapses. The collapse happens when coverage is too expensive for anyone to afford, and/or the insurers opt to exit the market altogether. Insurers generally only want to remain in markets that are fairly stable. And for an insurance market to be stable, the majority of the members in the insurance pool have to be relatively healthy, so their premiums can offset the cost of caring for the sickest members of the pool. In a death spiral situation, the number of healthy enrollees declines sharply, leaving far fewer enrollees, but total costs that are nearly as high as they were before the healthy people dropped out, since the majority of the claims come from the sickest enrollees. When those costs are spread over the smaller remaining pool of insureds, premiums rise, and the death spiral cycle ensues. A death spiral is the worst case scenario for an insurance market, and it results in the collapse or near-collapse of the market. The term "death spiral" is often conflated with the concept of premium increases, regardless of whether the other aspects of a death spiral—dramatically shrinking enrollment and eventual market collapse—are present. And regardless of whether people fully understand the concept of a death spiral, the terminology certainly doesn't evoke pleasant images. So it's not surprising that the term "death spiral" has frequently been used by opponents of the Affordable Care Act to describe the ACA-compliant individual health insurance market in the US. But warnings about potential death spirals have also been issued by supporters of the ACA, expressing concerns about how various legislative and regulatory changes could threaten the stability of the individual insurance markets, particularly in the most vulnerable states. Before the ACA was implemented, the single most significant factor that individual market insurers used to keep premiums affordable (and thus avoid death spirals) was medical underwriting. Insurers in nearly every state would comb through applicants' medical history in order to determine whether the person would be a good risk or not. Applicants whose medical history indicated that they might have substantial future claims were generally either rejected outright or offered coverage with significantly higher premiums or a blanket exclusion on pre-existing conditions. In this way, insurers in the individual market were able to keep their total claims costs as low as possible, resulting in premiums that were much lower than the premiums for employer-sponsored health insurance (even before the ACA, insurers that offered employer-sponsored coverage were not allowed to reject sick employees, or charge them higher premiums; in addition, individual market coverage was historically less comprehensive than employer-sponsored coverage, with correspondingly lower premiums). When the ACA was drafted, ensuring access to individual market coverage for people with pre-existing conditions was a priority. But lawmakers knew that if they simply required insurers to accept all applicants in the individual market, with premiums not based on medical history, the market would collapse. An individual market collapse had already happened in Washington state, a decade before the ACA was written. Washington lawmakers had tackled health care reform in the early 1990s, enacting the Washington State Health Services Act of 1993. The law required insurers to accept all applicants, regardless of medical history. But the individual mandate portion of the law, which had been slated to take effect in 1998, was repealed in 1995. This allowed healthy people to forego health insurance altogether, knowing that they could enroll at a later date if they became sick. It's easy to see how this creates an unsustainable market dynamic. When the Health Services Act was enacted, there were 19 insurers selling coverage in Washington's individual market. By 1999, there were zero—the market had collapsed altogether. Washington lawmakers revised the state's guaranteed-issue rules in 2000, making it harder for people to wait until they needed care to enroll in health coverage, and the market rebounded. New York state also began requiring health insurers to cover all applicants, regardless of medical history, in the early 1990s. Premiums could only vary based on location and family size, so younger, healthier people were charged the same amount as sicker, older people (New York still requires insurers to charge older people the same amount as younger people, rather than the less strict 3:1 ratio that the ACA imposed). But as was the case in Washington, there was no mandate requiring people to maintain coverage, and the result was sky-high premiums and very few insurers offering coverage in the state. New York had various state subsidies for low-income residents, and Washington's Basic Health Program offered subsidies to low-income enrollees. but neither state had a mechanism to subsidize the cost of coverage for middle-class enrollees. The lawmakers who drafted the ACA were aware of the problems caused when coverage has to be guaranteed issue (ie, nobody can be rejected or charged more based on medical history) without other provisions to ensure that healthy people continue to purchase coverage. Premium subsidies for people earning up to 400 percent of the poverty level. For coverage effective in 2019, that's $48,560 for a single individual or $100,400 for a family of four. The subsidies grow to keep pace with premiums, and they're designed to keep the after-subsidy cost of coverage at a specified percentage of income that's considered affordable. An individual mandate that requires almost all Americans to have health insurance or pay a penalty. Under the terms of the GOP tax bill enacted in 2017, the penalty no longer applies as of 2019 (people are still subject to the penalty if they were uninsured in 2018 and not eligible for an exemption from the mandate; that penalty will be assessed when 2018 tax returns are filed in 2019). But New Jersey, Massachusetts, and DC have their own individual mandates and associated penalties as of 2019, and Vermont will join them in 2020. An annual open enrollment window during which people can enroll in individual market coverage (through the exchange, or directly through an insurer). The annual open enrollment window is currently November 1 to December 15 in nearly every state. Outside of that window, people cannot purchase coverage in the individual market unless they're eligible for a special enrollment period, and special enrollment period rules have been tightened in recent years. Since coverage in the individual market cannot simply be purchased at any time a person chooses, it makes it harder for people to go without coverage and then be able to simply buy coverage if and when they need medical care. The ACA's premium subsidies, individual mandate, and limited enrollment periods have thus-far prevented the collapse of the individual health insurance market. Coverage continues to be available in every county in the US, despite worries in 2016 and 2017 that some areas might experience market collapse (to be clear, there were also diligent efforts on the part of insurance commissioners and state leaders to ensure that all areas of the country would have participating insurers in 2018, despite the uncertainty caused by the ACA repeal measures that were under consideration in 2017). What Happens Now That the Individual Mandate Penalty Is Being Eliminated? The Tax Cuts and Jobs Act, enacted in December 2017, eliminates the individual mandate penalty after the end of 2018. So people who are uninsured in 2019 and beyond will no longer face a penalty unless they are in a state that imposes its own penalty. There is no doubt that this has caused premiums for 2019 to be higher than they would otherwise have been—even in states where average premiums decreased for 2019 (they would have decreased even more without the repeal of the individual mandate penalty). The Congressional Budget Office projected that without the individual mandate penalty, premiums in future years will be an average of 10 percent higher than they would otherwise have been. That increase was evident in the rate filings that insurers submitted (and that regulators approved) for 2019. Premium changes in the individual market were a bit complicated for 2019: Average premiums grew slightly nationwide, although average benchmark premiums decreased slightly across the states that use HealthCare.gov. But although the average premium increase across all plans was small, there would likely have been an overall average premium decrease if not for the elimination of the individual mandate penalty and the Trump Administration's efforts to expand access to short-term health insurance and association health plans (healthy people will gravitate to those plans, leaving sicker people in the ACA-compliant market, resulting in higher premiums). But the limited enrollment window and the premium subsidies remain unchanged, and they will be the key to preventing a widespread death spiral in the individual market. But overall, the likelihood of a death spiral (ie, higher premiums resulting in healthy people dropping coverage) is muted for the population that receives premium subsidies, as they're insulated from the higher premiums. A Death Spiral in the Unsubsidized ACA-Compliant Market? However, there could very well be a death spiral in future years, in some areas, among individual market enrollees who don't get premium subsidies. Subsidies aren't available for people who earn more than 400 percent of the poverty level, for people affected by the family glitch, for people in the Medicaid coverage gap, and for anyone who chooses to purchase coverage outside the exchange, regardless of income. These individuals are in the same pool of insureds as those who do get premium subsidies (if they buy coverage from an insurer that offers plans both inside and outside the exchange; if the insurer only offers plans outside the exchange, there are obviously no on-exchange enrollees in that insurer's risk pool), but there's nothing to protect them from the increasing premiums. Indeed, although on-exchange enrollment was only slightly lower in 2018 than it had been in 2017 (11.75 million versus 12.2 million people enrolled during open enrollment) enrollment in those same ACA-compliant individual market plans outside the exchanges (ie, where nobody gets premium subsidies, and everyone has to pay full price) has been declining sharply—particularly in states where rate increases have been especially large. Unless Congress or individual states take action to extend premium subsidies to people who aren't currently subsidy-eligible (or to reimpose a strong individual mandate penalty, which seems unlikely), the exodus of unsubsidized enrollees from the individual market is likely to continue in 2019 and beyond. This will be exacerbated in many areas by the Trump Administration's new regulations that make it easier for healthy people to enroll in short-term plans and association health plans instead of ACA-compliant individual market coverage. The nearly 9 million Americans who get premium subsidies are insulated from the increasing premiums, and that will continue to be the case. The healthiest and least-subsidized among that group may still opt to switch to cheaper coverage in the form of short-term plans or association health plans. But by and large, the subsidized individual market is likely to remain fairly stable, regardless of premium increases and general market instability. That's unlikely to be the case for the unsubsidized segment of the market, however. In the early years of ACA enactment, it was estimated that roughly half of the enrollees in the ACA-compliant individual market were receiving premium subsidies and half were not. Approximately 85 percent of exchange enrollees have been receiving premium subsidies from the beginning, but the ACA-compliant market includes both on and off-exchange plans, and everyone who enrolls off-exchange is paying full price, along with the 15 percent of exchange enrollees who pay full price. But as the off-exchange enrollment has declined, the percentage of individual market enrollees with ACA-compliant coverage has grown. Eventually, we could be left with an ACA-compliant market comprised almost entirely of people who are eligible for premium subsidies, with only the sickest unsubsidized enrollees continuing to pay the increasing premiums for ACA-compliant coverage. What Can States Do to Prevent Death Spirals? Although the ACA's regulations apply nationwide, individual health insurance is also regulated at the state level. The ACA sets minimum standards and requirements, but states can impose additional rules, or even make adjustments to the ACA's rules by using 1332 waivers. States can impose their own individual mandate. Massachusetts already had one before the ACA was enacted. New Jersey and DC have implemented individual mandates effective in 2019, and Vermont will join them in 2020. States can offer premium subsidies to people who earn too much for the ACA's subsidies. Minnesota did this in 2017 (for one year only). Colorado considered in in 2017 and again in 2018, but funding was a stumbling block. States can enact regulations and legislation to prevent widespread access to longer short-term plans and association health plans. Nearly two-thirds of the states have restrictions on short-term plans that are more strict than the federal rules. By preventing healthy people from circumventing the ACA-compliant market in favor of plans that don't comply with the ACA's regulations, states help to ensure that their ACA-compliant markets continue to have a good mix of healthy people, who serve to keep the risk pool stable. States can seek 1332 waivers in order to receive federal funding to implement reinsurance programs or other innovative approaches to keeping premiums under control. Alaska, Minnesota, and Oregon were already operating reinsurance programs as of 2018, which have helped to stabilize their individual market premiums. Wisconsin, Maine, Maryland, and New Jersey received federal approval to implement reinsurance programs as of 2019, and several other states are considering doing something similar. The talk of death spirals in relation to the ACA applies to the individual health insurance market, and relatively few people purchase coverage in the individual market. Almost all insured Americans get their coverage either from an employer or from the government (Medicare, Medicaid, CHIP). Fewer than 16 million people, out of a nation of 325 million, obtain coverage in the individual market. So worries about insurance market instability probably won't affect your coverage. And even in the individual market, the majority of current enrollees receive premium subsidies. If you're eligible for subsidies, you're protected from spiraling premiums as long as insurers continue to offer coverage in your area (thus far, there have been no areas without insurers, and the trend of insurers exiting the exchanges started to reverse itself for 2019, with zero exits and insurers joining the exchanges in many states). But this is little consolation to the several million people who need to buy coverage in the individual market and aren't eligible for premium subsidies. If you're in this group, you may be tempted to switch to non-ACA-compliant coverage, but it's important to understand the drawbacks of those plans before you enroll—there's a reason they're so much less expensive than real health insurance. Centers for Medicare and Medicaid Services. Center for Consumer Information and Insurance Oversight. Market Rating Reforms. State Specific Rating Variations. Congressional Budget Office. Repealing the Individual Insurance Mandate: An Updated Estimate. November 2017. Kaiser Family Foundation. Health Insurance Market Reforms: Guaranteed Issue. June 2012. Mark Farrah Associations. A Brief Look at the Turbulent Individual Health Insurance Market. July 2017. National Institutes of Health, US National Library of Medicine. Washington State Health Services Act: Implementing Comprehensive Health Care Reform. Spring, 1995.